Frisco Kids: Book Club: What I'm Reading and Should You Read it Too? Book Club: What I'm Reading and Should You Read it Too? I've been reading a lot this summer, so it's time for a book club! And like many book clubs, I haven't finished reading all the books covered here. I promise to finish some of them! I'm using her name as the headline of this section, because I'm now on her third novel. I started with Gone Girl, and felt like I was coming late to the game, since so many of my friends already loved and raved about this book. And I can see why. 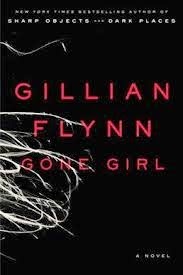 Without getting into any spoilers, it's a psychological thriller about a couple where the woman disappears. Who did it and why? That's what you'll find out about, but it is not what you might think. The author slowly pulls back the curtain revealing only a little at a time, and it's truly an original and captivating book. The one downside is that I didn't like the ending (and I wasn't alone). It's being made into a movie, so if you like to read your books before the movie comes out, get on it! After finishing that I immediately put her previous two novels on hold at the library. Sharp Objects came up first in line, and was not quite as good as Gone Girl, but still held my attention. Sharp Objects is about a reporter who goes back to her hometown to report on a possible serial murder of two girls. Hometown/family she's stayed away from for good reason plus murder. It's weirdness and mystery is a world I don't know and it borders heavily on very, very creepy. But it was well done and this time, the ending was on point (pun intended). Now I'm in the middle of Dark Places, by far my least favorite. It's the only one I've considered giving up part way into it. But I will finish it. This one centers around the sole survivor of a family killing, featuring the grown up version of the 7 year old child left in the murder. Did the brother really kill the rest of the family? Will this pathetic, unlikeable 30 year old woman pull herself out of the funk she's been living in since the murder? We'll find out. But first I have to finish the book. It's very slow and the main character has nothing redeeming about it. 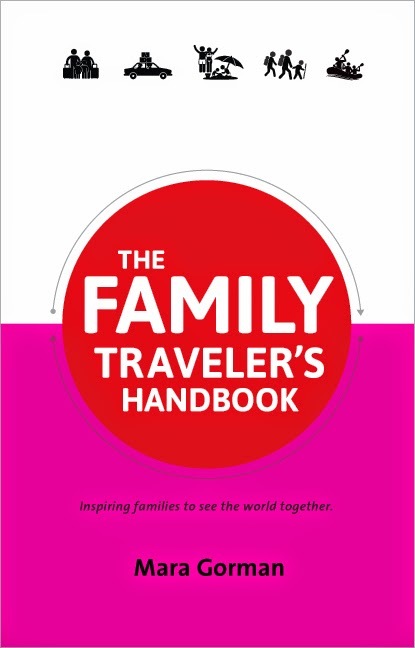 The Family Traveler's Handbook by Mara Gorman. I have a lot of travel writer friends, and Mara Gorman is among them. She wrote this book to inspire families to travel the world together, and she succeeds. In addition to good, down-to-earth advice about the specifics of family travel (laundry tips, budgeting, considerations in choosing a hotel/resort) she goes over the best parts of traveling with kids. While I don't understand this at all, some people feel that it's better to wait and travel with kids when they're older, easier and can remember more about what they're doing. It is certainly harder traveling with young kids than older kids. And of course each family can do what works for them. But Mara shows how even going to Europe with young kids made sense for her family. I'm always in awe of people who spend extended amounts of time traveling as a family, and Mara did this with her family - 13 months, traveling to three countries and six U.S. states when her son was a toddler. 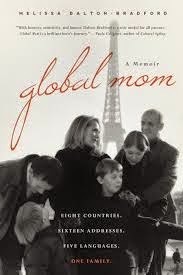 Global Mom by Melissa Dalton-Bradford. Admittedly I have not finished this memoir, and most likely won't. The concept intrigues me. This is a family who moves abroad for work, and it's subtitle says it all: "eight countries. sixteen addresses. five languages. one family." Now my husband thought it sounded a little pompous, and when you read the author bio, you might agree: the author speaks, reads and writes fluent German, French and Norwegian and is conversant in Mandarin. She's a professional soloist and actress and an "independent scholar, world citizen and mother." She also teaches university-level humanities, language and writing. Okay then! The book covers their adventures in Vienna, Hong Kong, NYC, Oslo, Paris, Munich, Singapore and Geneva. I only made it as far the opening in Paris and the first year in Norway. Dalton-Bradford's stories are fascinating - she tells what it's really like to live in a foreign country and explains the basics of the culture itself (I knew nothing about Norway). What's not so great? The book is so over written that you have to wade through verbosity for description's sake to reach the interesting stories. An example: "When I cursed a cloudburst that soaked my fashionable and skimpy jacket and made a sloshing mud pit of the parking area, a pit I now had to mince through and which, yick, got my color-coordinated booties all blechy-yicky, a mild-mannered (and J. Crew model-type) father shared with me a major clue to the universe. He was tugging something over his drenched head that looked like a Navy Seal tarpaulin pop-up tent with arm holes and a zipper when he whispered to me one of the key couplets that defines Norway:..." This style works for some, but not for me. I can't make it through 300 pages of this. I just want to get out my pen and start editing. I took a look at the GoodReads reviews after posting this, just to see why it got such high ratings. Turns out lots of others had a hard time wading through the prose as well. One woman finally made it 2/3 of the way through the book before she felt like the author was opening up a bit and letting go of the wordiness. Then she started to enjoy the book. I can't wait that long - already struggling through 55 pages. There are too many other excellent books on my shelf waiting for my few hours of reading time. I'd love to know more about her experiences because I truly believe she has a lot to tell. Just not willing to devote the brain power to reading past the flowerly language. 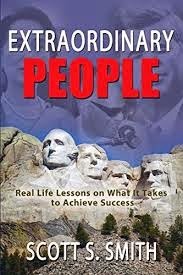 Extraordinary People: Real Life Lessons on What it Takes to Achieve Success by Scott Smith. Written by an Investors Business Daily writer, Smith features 22 leaders in their fields, like Jim Henson, Reed Hastings (Netflix), Gouverneur Morris (early U.S. history), Martha Harper (the earliest franchise developer) and other interesting figures. This is a great book for reading about innovators and how they think, how they learned from their mistakes and take-away messages from their careers and lives. Since each chapter focuses on one person, you can read it easily in sections or go straight through. I'm going the sections route, and enjoying the mini biographies in each. What have you been reading lately? Would you recommend it?